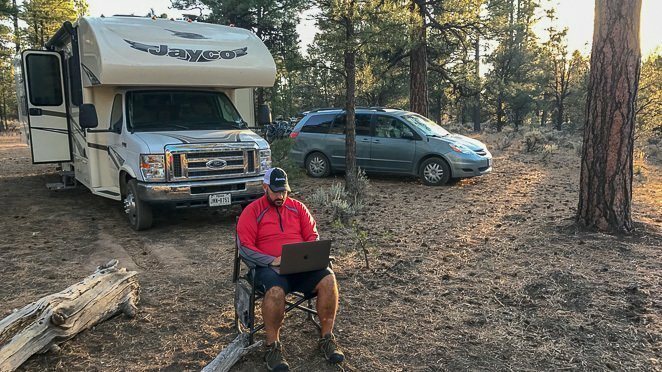 In order to travel and work as a full time RV family, you may depend on having an internet connection. 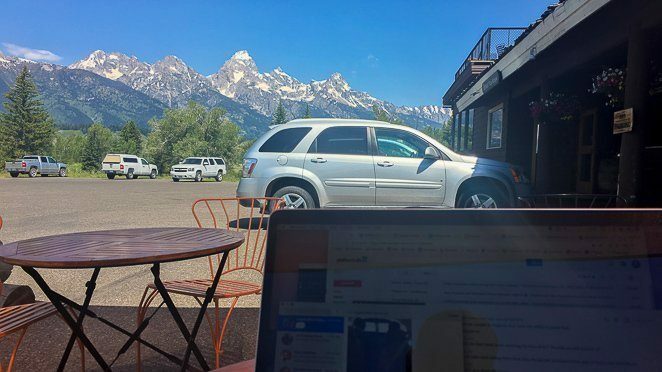 Whether it be for working remotely, doing homeschooling online, or just watching Netflix and chilling, chances are you will need to have a dependable internet connection and a good set of full time RV internet options. While it could be easier to just figure it out when you get to your destination, you may find yourself without a usable internet connection and be unable to get online. Or even if you have enough signal and connection, you may run out of the data on your phone. 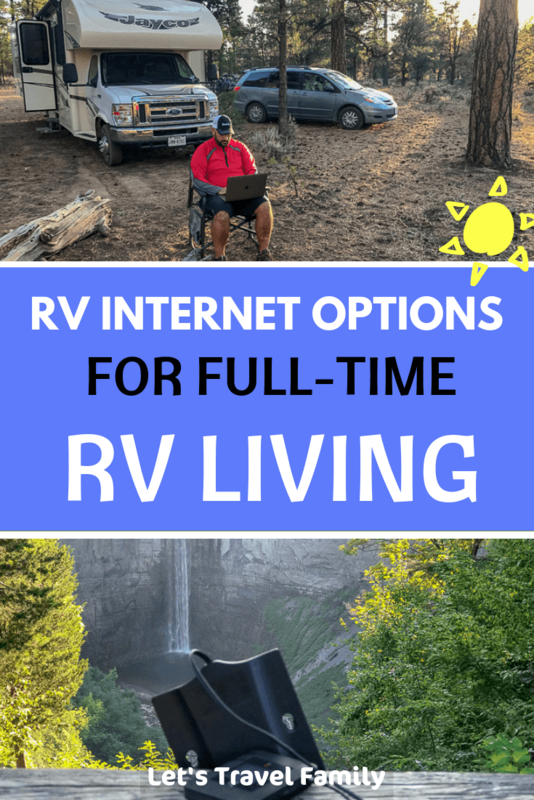 Now that we’ve been traveling as a full time RV living family of 6 for over 2 years, while working remotely online using all the tips and tricks we’ve learned along the way, I want to help you learn about your RV internet options. But I have unlimited data...isn't that enough? I got my data, now what? While there are 3 options listed above, this article--and my sanity--will only cover cellular internet. It’s the easiest to obtain, maintain, and control. Public Wi-Fi could be used if you don’t depend on internet for work, but that’s not why you’re here. And satellite is an option if you have very low data requirements and don’t depend on time-sensitive applications like doing video chat, phone calls, or other low-latency applications. Onward with the talking on cellular internet! Not really, since unlimited phone plans offered do not generally include unlimited tethering data. Tethering is when you use your phone as a hotspot in order to allow other devices such as tablets, laptops, or streaming devices to use your phone’s internet connection. Companies usually offer between 10GB and 20GB of tethering data with your phone plan per month. Unlimited data can be a tough market to navigate since all major carriers offer "unlimited data" plans. Your unlimited data phone plan might not include enough personal hotspot, or tethering data. Now, 10 or 20GB might be enough for most people on their cell phones when living in a regular house and not an RV. Especially when you have a cable modem at home and probably wifi data at work, if you commute to a job, but you’re on the road now (or want to be) and are responsible for ALL of your data. If you’re not sure how much data you’re consuming between with your home devices and your personal phones there are a few ways to find out. For your cellphones there are apps like Open Signal that can track how much data you are using on a monthly basis. Or even in your settings on your phone there are usually indicators of how much data you’re using. For your current home connection (if you still live in a sticks and bricks and not an RV yet, your cable, satellite, or DSL provider, usually keep track of your data usage through your account portal. Log into your account to check your billing area or talk with your providers support team about getting those numbers. Now that you have those numbers, let’s say 100GB per month on your home’s cable modem connection, and 5GB of personal hotspot, it’s time to go and pick a plan and a carrier. In our own experience we found that it has been best to have at minimum two carriers with data plans. This may sound like overkill but there are plenty of instances when say Verizon might not have enough signal or there are too many people using it at a location you want to camp at. 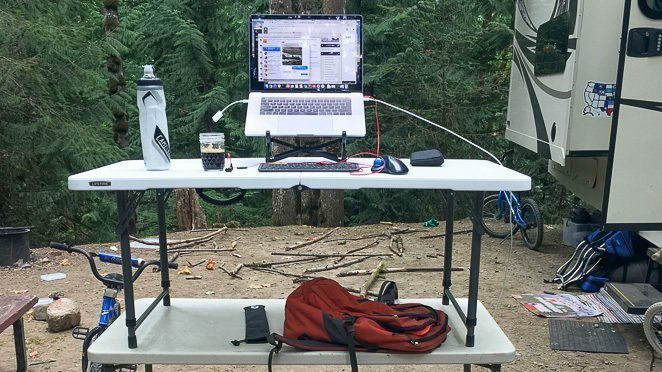 Having a second, or even third, carrier will reduce the likelihood of your family being without internet at a camping location. This is where dedicated mobile cellular devices, or hotspots, come into play. When it comes to dedicated cellular data devices most people opt for a hotspot. All carriers offer some sort of portable hotspot which allows you to connect devices while away from a typical home internet connection. Being a full-time RVer, or soon to be RV family, this is your home internet connection. 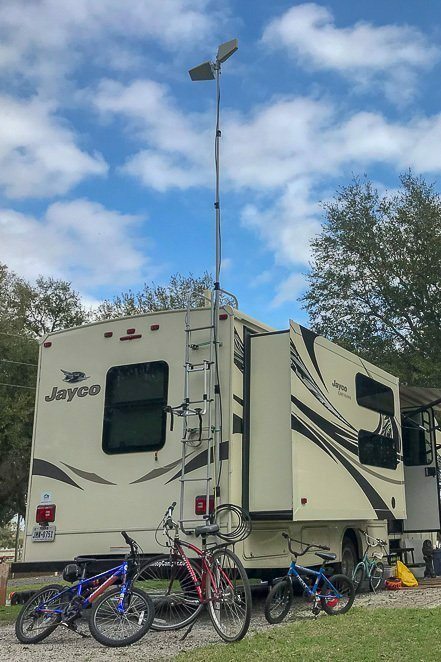 With a built-in wifi router and battery these hotspots allow you to access the internet not only at your RV site but also when out and about on the town visiting museums, theme parks, or even the beach! Currently all US cell providers offer an “Unlimited” plan of some sort. The catch is these are tied to a phone and not truly unlimited. As we covered above, what you are looking for is tethering data if it’s a phone-only plan, and there are no cell phone plans with unlimited tethering on the market. There are still options though; Verizon Prepaid now has an Unlimited data-only plan that works with a hotspot and is truly Unlimited. While it is subject to “Network Management” this simply means that if you were at a large outdoor festival, Daytona 500, Disney World, places that simply do not have excess capacity, that your data could be deprioritized, or temporarily slowed down. So the data will still work and go through, it just may increase the time it takes. Other options include the FCMA Tech Connect + plan, which is an Unlimited Sprint hotspot. This is good if you’re regularly in an area that Sprint serves, but their coverage is limited throughout the country. So there are some limitations surrounding the Unlimited Hotspot market, but as we said above, know how much data you need and you may realize you don’t actually need an unlimited plan. AT&T currently offers the Data Connect for 15GB plan which is $70/mo per 15GB with a $10 per 1GB charge over that. Verizon currently offers anywhere from $20/mo for 2GB up to $710 for 100GB per month, so watch your usage. There are a million-and-one plans out there from different providers and they’re always changing so this information could be out of date at any time. We’ll do our best to update this post with the best information for finding internet for RV travelers. So bookmark this page to check back later. So you’ve got your hotspot or modem and a cell phone plan with data for the device, now we need to get you connected! Just like a television, cell phones and hotspots use antennas to pick up the signal they process. While most phones only use internal antennas now, hotspots can still benefit from an external antenna. My favorite one to use is the Netgear MIMO antenna. It comes with 2 TS-9 connectors that plug into your hotspots antenna ports and can provide that extra little boost to smooth out the signal and increase your download and upload speeds. There are also single-device antennas that are like a dash mount or cradle for your car or truck. These generally have an external antenna and help bring the signal in and focus it on the device in the cradle. Just like extending your rabbit ears on your television, this can increase the reach of your hotspot to reduce the noise or the snow that you would see on your TV. There are other panel-style LTE antennas out there that I have not tested, but I’m sure could work just as well. Panel style antennas are not the only type that work with hotspots. 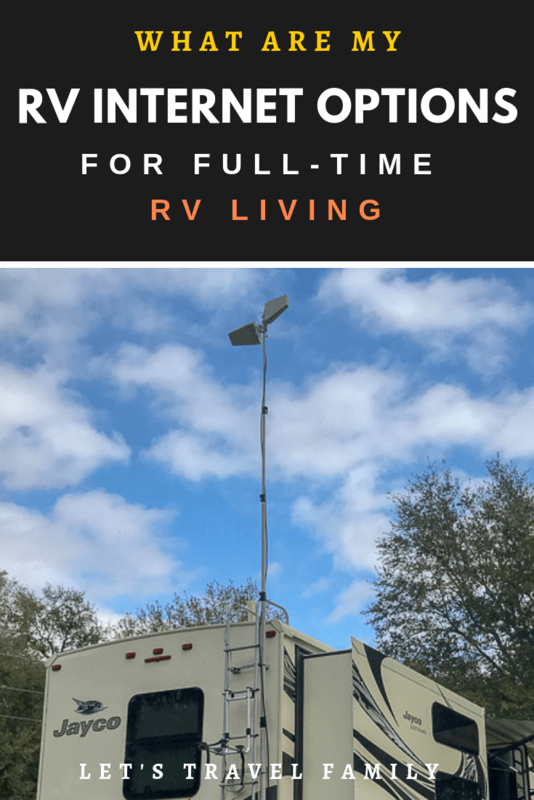 There are also directional and omnidirectional antennas that are generally pole-mounted or can be mounted on your RV’s roof ladder. An omnidirectional antenna would be your easiest and most flexible hard-mounted solution. Like the name implies, it will capture signal from all directions, meaning you don’t have to worry about locating the cell tower and pointing your antenna at it. This can also mean that it could receive increased noise if you happen to be in the center of a cluster of towers since all the signals nearby will be captured. A directional antenna, sometimes referred to as a yagi antenna, can be pointed at a particular tower or location to try and increase your cell signal. This can be beneficial in a situation where you only have 1 tower that is almost out of reach and to focus the signal reception. It is also helpful if you are near a cluster of towers that may be congested and want to only pick up one particular tower. The final piece of your internet solution for RV living would definitely be an RV cell phone booster or amplifier. An amplifier takes the existing signal received and boosts it to potentially increase your upload and download speeds. We use our Weboost as a cell booster at least 50% of the time, allowing us to camp in areas that we wouldn't otherwise be able to since we couldn't work and pay the bills without functional internet. After 2 years on the road, I can honestly say it has been a very worthwhile investment. 1. They will not help with an overloaded tower. If there are too many people using the same tower and there isn’t enough throughput available, having a boosted signal will not allow you to jump ahead or cut in line and get faster speeds. Picture 10 people all using your home wifi and watching Youtube....there wouldn’t be much bandwidth leftover for you to watch Youtube as well. 2. If you have no signal, then there is nothing to boost. Being in the middle of Glacier National Park with no cell towers around for 10s of miles won’t be helped with a booster as there is simply nothing there to boost. While you could fiddle with settings and antennas it may be more frustrating to almost have no signal as opposed to just not having any signal. 3. Too much boosting is a bad thing. If you already have a good signal, 3-4 bars on your device, and you boost that signal, it could lower your speed and performance of your device. We could talk about the noise floor on your cellular radio device but then you might just pass out from the boredom. So don’t boost an already good signal. While we could go on for 1000s of more words about every facet of data plans and signal-to-noise-ratio we know you want to hit the road and have some functional internet. This article purely focused on cellular internet since that’s the easiest and most common way that full time RVers have internet on the road. It’s the most flexible and can always be with you. It also has the lowest barrier to entry since you’re probably reading this on a cell phone right now. If you are specifically looking around to find jobs for RVers, click here to find our ultimate list of ideas that can get you started. 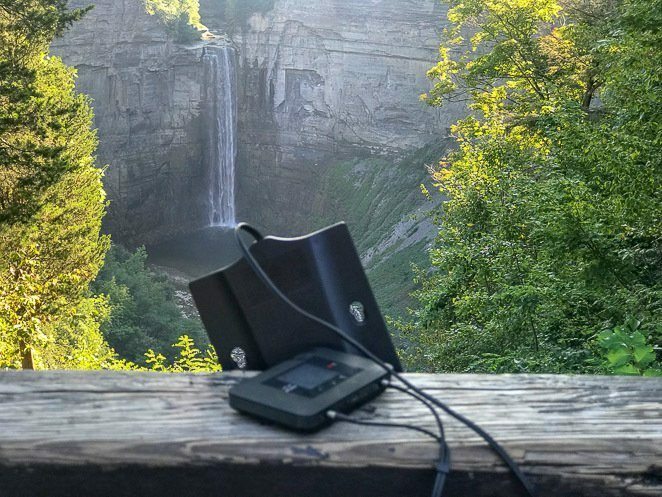 Satellite internet is portable enough to move sites and campgrounds but probably won’t be hanging out in your backpack on a hike through the city. On top of that, it can be painfully expensive to purchase and maintain and is very slow for real-time communications. 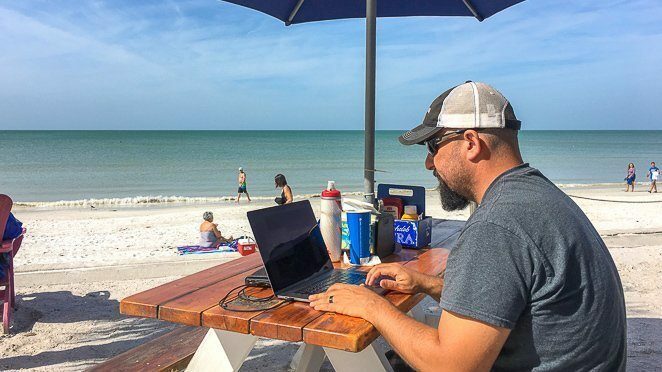 Public Wi-Fi didn’t get a shake because it’s not something dependable enough for work and or homeschooling IN your rig. You could always try out the camping wifi at an RV park near the campground building or try an RV wifi booster, but it won’t make the speed any faster and campground wifi is often very slow. Hanging out in the Starbucks parking lot could be an option, but there isn’t much you can do about the speed that free wifi offers. 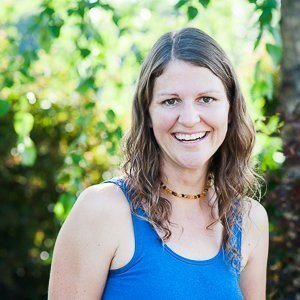 While the limitations of cellular internet include coverage, data caps, and tower saturation…..I feel it’s the best option if you require an always-on fast internet solution for living the full time RV life.